I am no baker - cook I can, bake I can't! Still I decided to make a date cake.Came across this Incredible Date cake from egg less baking book. 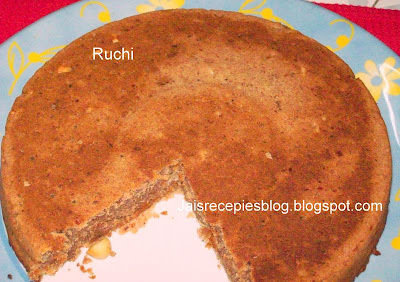 It was very simple and since I had the right ingredients tried the recipe the same day the taste turned out excellent. If using the regular dates with seeds, you will need to soak them overnight in milk and de-seed them in the morning. But, with the chopped ones that I used, there is no need to soak. Just grind the dates with the milk and sugar till it forms a smooth mixture. Sift the baking soda and flour together. In a mixing bowl combine butter, sugar, the date milk mixture well. Slowly add flour and baking powder mix into the wet ingredients ensuring no lumps and an even batter. Add it to the above mixture little by little and beat till mixed well. Add the nuts and mix. Once done fold in the nuts and pour into a greased baking pan and bake at 350 for 40 -45 minutes or till a knife inserted comes out clean. Remove from over and cool before cutting into slices. Serve warm with tea or coffee. 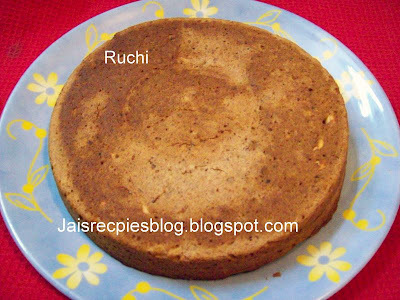 Love the fact that its eggless,and perfectly baked cake! lovely cakes... come and have soemthing is there for u in my - ITS A REFRESHING TIME post dear. I would like to subscribe to your posts can you pls add the subscribe via reader, so I can subscribe and get your posts first hand. Yummm dates and nuts are my fav'! Love it, dear. Eggless sounds interesting too! We hardly find here dry fruits cake in the market. 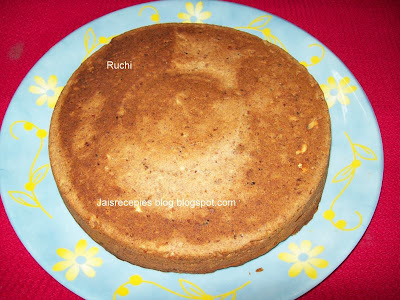 Nice recipe..dates makes it so special. Wow! This is pretty easy. Look delicious too. I must try out this recipe. Thank you dear. Shree, please take a look at my Plagiarism post and support me....I am devasted. I truly appreciate ur comment. Thanks for ur support dear. I will never forget this true gesture. the cake looks so perfect and delicious. First time here. You have a nice blog with wonderful recipes. Wow really great recipes. Think my kids love this one’ I will copy all the procedures how to cook this one. I hope that I can make it perfectly.